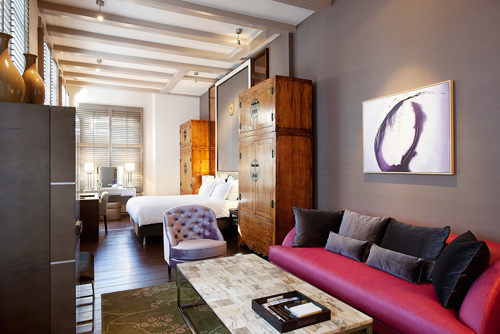 The Dylan Hotel in Amsterdam wished to increase interest – and business – from the US market. They asked Redpoint to guide them in launching their first-ever US email campaign, leveraging their sizable database accumulated from past guest stays. It seems like a simple task and short runway to launch…just figure out content and start emailing. However, Redpoint never builds a house without first assessing the foundation, and it’s an especially good thing we did in this case. The Dylan’s cyberspace foundation needed some key adjustments to be strong enough to support an email campaign with a robust ROI. Here’s a truth that so many folks don’t embrace: all of a brand’s digital marketing efforts are linked by the connective tissue of cyberspace. So if you’ve ever wondered why your email campaign isn’t funneling through to sales, you may not have suspected it’s because your website, social channels, PPC program, blog, TripAdvisor profile, etc. aren’t pulling their weight. The report went on to lay out a strategic plan for their email program, including database strategy, segmentation, editorial calendar, month-by-month evolution, and integration with all Dylan Hotel marketing channels. And the hotel executives were thrilled to embrace the recommendations, knowing with confidence that efforts to first bolster the online foundation would lead to a home run in email marketing.